Similar to business, professional athletes are sometimes forced to get creative in order to stay in the game. As athletes age, they may have to reinvent themselves for a different role, or come up with innovative approaches to their current role. One of my favorite athletes is major league baseball R.A. Dickie. He was the Cy Young award winner in 2012 as the league’s best, and he was the first knuckleballer to win the award. However, I hold greater respect for him due to his personal life story of resilience. Prior to the Cy Young award, Dickie had some arm issues, and had to reinvent himself as a knuckleball pitcher to stay in baseball. He was also the first player cut out of training camp in 2010! I was thinking about this challenge to reinvent as my son, Tanner, and I just enjoyed our first round of playing catch with a baseball in front of our house. We have been doing this for many years. It starts out as being catch, but usually evolves into a contest of pushing the limits to see how much velocity we can generate in throwing the ball. The older I get, the less accurate I feel and the longer it takes to warm up – at least that is how it seems. In any event, this year I noticed something about human behavior as we played. 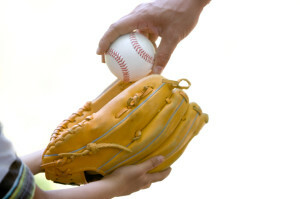 I like throwing (or perhaps I should say that I like trying to throw) the knuckleball when I play catch with my son. Unfortunately, this year my first six attempts had Tanner trotting down the road to retrieve a wild pitch. Given that the ball rolls a long distance on the hard road surface, I began to feel badly that he had to chase after it so often – so I stopped throwing the pitch. The same thing started to happen with the curveball, and even the fastball was an occasional risk. Over time I noticed that we both settled back into throwing moderate, predictable pitches, with neither one of us pushing the limits of growth. Tanner said that he didn’t mind chasing the wild pitches, but I felt bad that he had to. In the end, we both agreed that it would be cool to take our game to the diamond, where we would have a backstop to limit the distance for ball retrieval. Professional life can be much the same. We can hold back on pushing the limits for a variety of reasons, but a couple of basic reasons are that we don’t want look incompetent, or feel that we are an inconvenience to others, when we miss. Relationship: Engage with people that truly want to partner with you in the journey of life, personally and/or professionally. They won’t mind chasing the odd ball down the street, but better yet, they will gladly play the role of catcher so that you can be your best at pitching – and vice versa. I am blessed with a few of these in my life and they are treasured companions!Note: This might take some effort on your part and theirs. My son and I did not always see ourselves as partners in life. Enjoyment: Push the limits and see how much you can discover, grow in and become! It feels great when we accomplish something that we did not know we could do. It’s okay to smile! Creativity breeds joy. Every business will benefit from creativity and innovation. Most will be forced at some time or another to get creative or die. 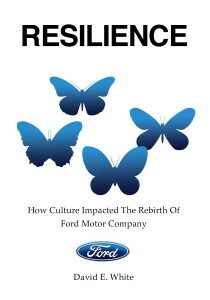 While the innovation will be different for each organization, the generation of creativity within people will be facilitated by the principles above. Take a look around you. Is your team having fun? Is the environment safe enough that people are willing to push the limits a bit with creativity? Are the relationships supportive partners or just co-located participants?